Home to our Chambres d’hôtes, located in the Languedoc right at the foot of the Cevennes. 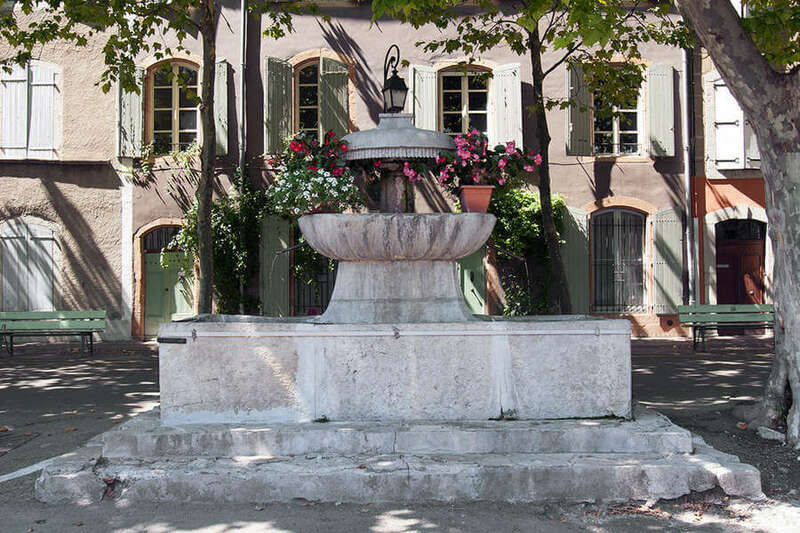 The town is known for its numerous fountains and sundials. Every Tuesday and Friday morning large markets fill the village centre. An ideal starting point for those who are interested in nature and culture. But also beautiful cities such as Montpellier and Nîmes are less than an hour away from Les Trois Comtes. Our advise: visit the market with the basket in hand and collect some regional products from the local farmers. Be sure to step into the Boulangerie Vanille, a treat to delicious savory breads and sweets. 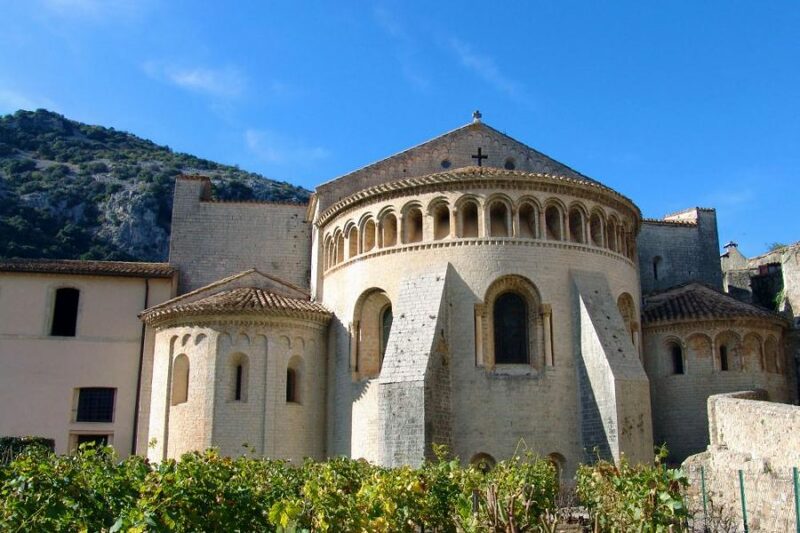 Visit the medieval villages around Saint-Hippolyte-du-Fort. Sauve is a picturesque town at the foot of the Cevennes. On Saturday you can see the craftsmen at the weekly market. Our advise: Restaurant La Tour de Môle, ambiance, fantastic cuisine and friendly service. From Anduze runs a railway to Saint-Jean-du-Gard, right through the national park of the Cevennes. Sommières has a medieval center and its castle. 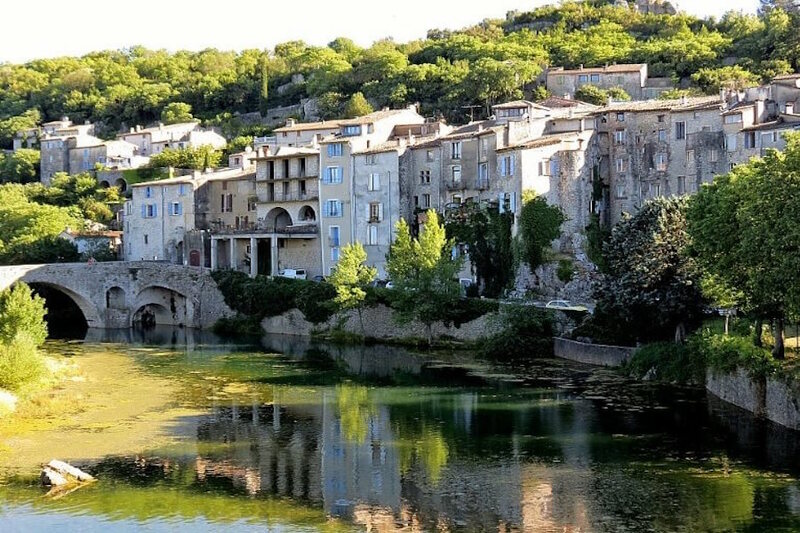 The town lies between the Mediterranean sea and the Cévennes and is also called the gateway to the Camargue. You must have seen the Cevennes national park with its breathtaking natural beauty, from harsh exposed plateau to steep sided river gorges, and several unspoiled traditional villages so it is interesting to visit if you want to see unspoiled rural France at its best. Our advise: the route of the ‘Corniche des Cévennes’ is a unique spectacle of ‘small hills and valleys’ of the Cevennes valleys between Florac and St-Jean-du-Gard and passes through the highest places of the Cévennes. Magnificent!! The route is 58 kilometers long. A pleasant day of relaxation in full nature. 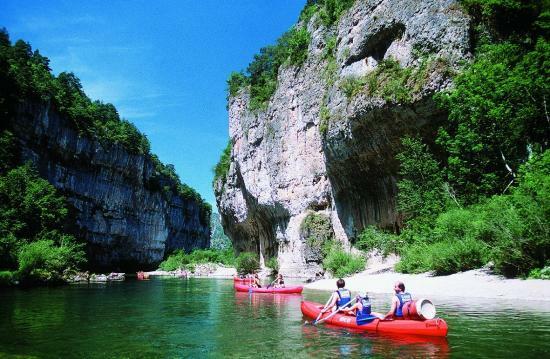 By canoe or kayak you can meet the Gorges de Hérault at the foot of the historic Cévennes. This river flows between the breathtaking cliffs, you can choose a nice family route with the kids or adventurous rafting. Our advise: use a simple lunch on one of the terraces in Laroque, located along the river Hérault. Here you have a beautiful view! Cirque de Navacelles a remarkable natural phenomenon. An impressive valley with steep walls and several waterfalls on the banks. This beautiful phenomenon is included on the UNESCO World Heritage List. 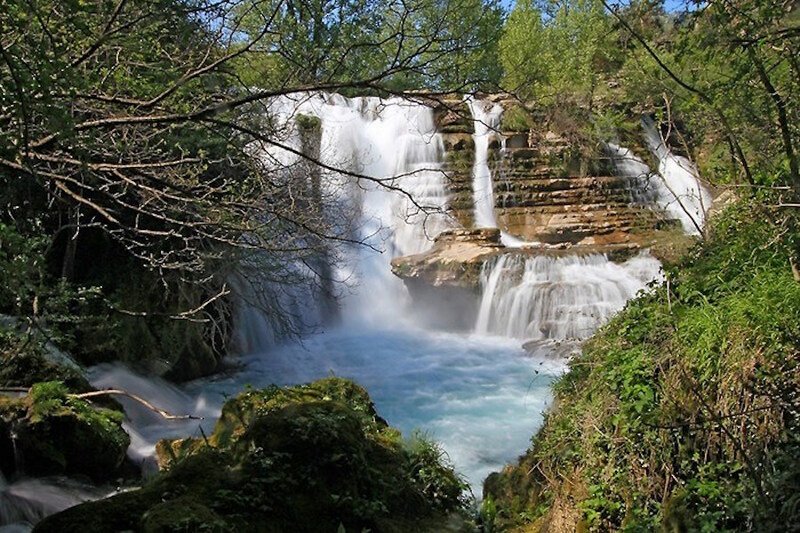 Our advise: take the autoroute towards Ganges (D25) – Blandas (D48), in Blandas is one of the viewpoints over the kettle valley, a feast for the eyes! From this point, use the walking route or car route to the village of Navacelles. Once the heart of a duchy, this wonderful medieval town has a famous market with regional attraction. 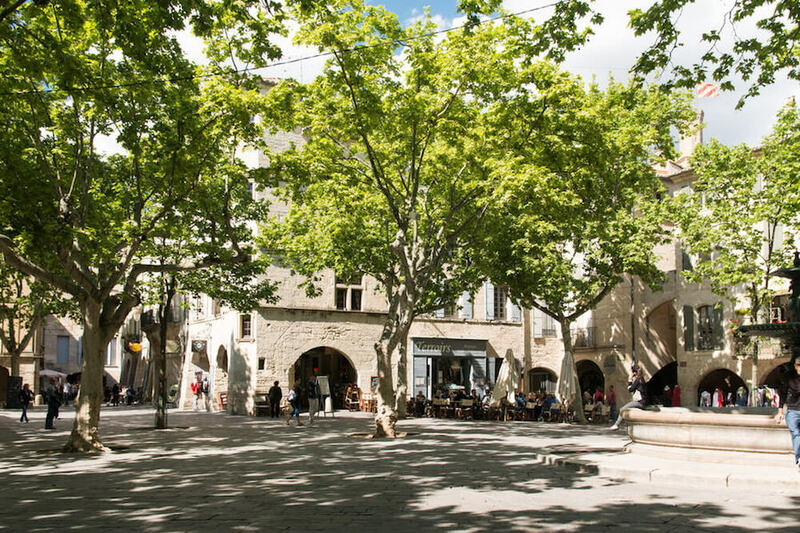 The wine route from Saint-Hippolyte-du-Fort to Uzes is well worth it, in particular, when one uses a delicious local lunch at one of the many terraces. The capital of Languedoc-Roussillon is characterized by an interesting mix of beautiful modern and medieval architecture. 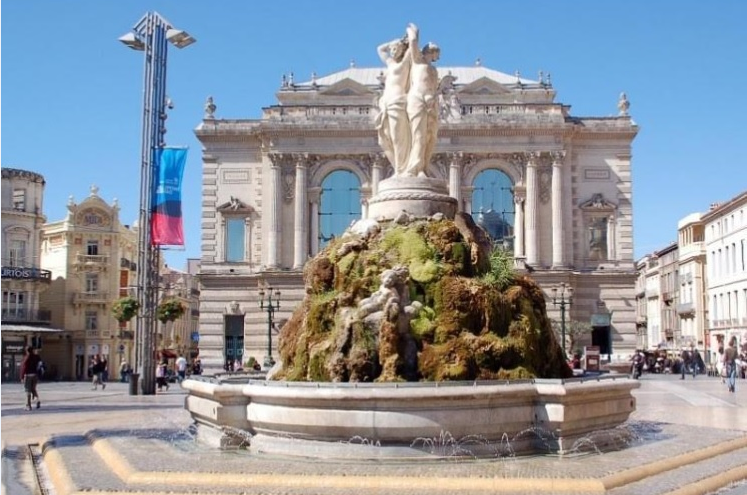 Montpellier has the character of a bustling and lively student city full of distinctive historic buildings and streets. Do not forget to stroll through the many shopping streets. Our advise: Quartier de l’Ancien Courrier nice authentic boutiques in the heart of Montpellier. 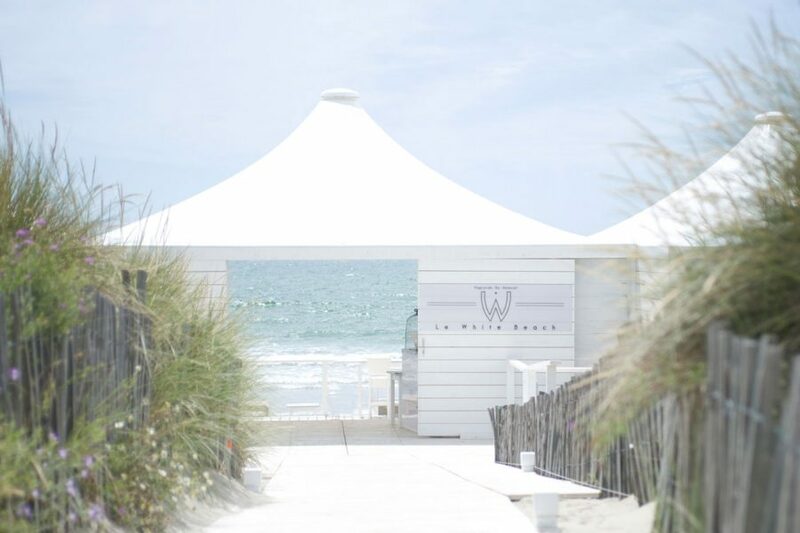 You are looking for a lovely beach, then you will surely find what you are looking for on one of the beautiful sandy beaches of La Grande-Motte within an hour’s drive … Beach tents? Paillotes are called them in Languedoc-Roussillon. Not only nice places to enjoy a day of the sun, but also nice addresses for a bite to the sea. Our advise: Le White Beach, reservations necessary. 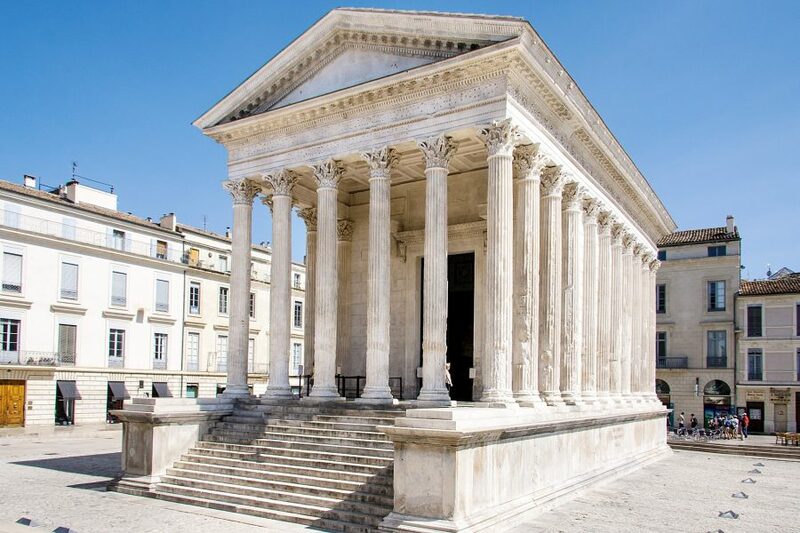 Nîmes is a southern city located between the Cévennes and the Camargue, the Provence and the Languedoc. Roman, classical and modern at the same time. Nîmes is without a doubt unique. The many remains from the rich past have been well preserved here. The city is all about art and history and has great dynamics. Our tip: combine a visit to Nîmes with a visit to the impressive Pont du Gard. Visit LE MAZELET. 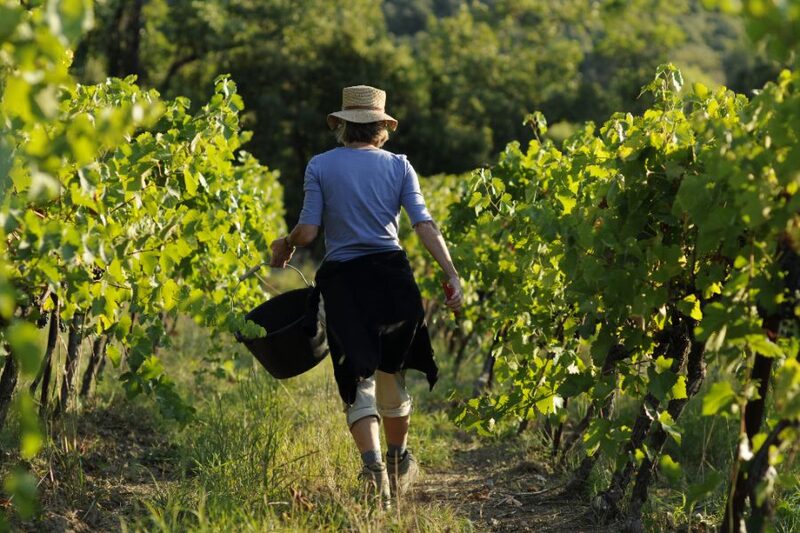 A small wine domain of 4ha located at the foot of the Cévennes, Le Mazelet is an English-Dutch collaboration between Kim Nasmyth and Ronald van Breemen, both passionate about producing natural wines. Ronald tells with much passion about how the wine is made. The tour ends with a ‘degustation’, where you can see, smell and taste all wines. Our advise: Le Mazelet organizes various activities including horse riding through the beautiful surroundings of the ‘Piemont Cévenol’ or a picnic among the vineyards, enjoy! The steam train of the Cévennes travels from Anduze to Saint-Jean-du-Gard. According to many, the best train trip ever! This old-fashioned steam locomotive runs through the beautiful landscape over high bridges and through tunnels. An experience for young and old. 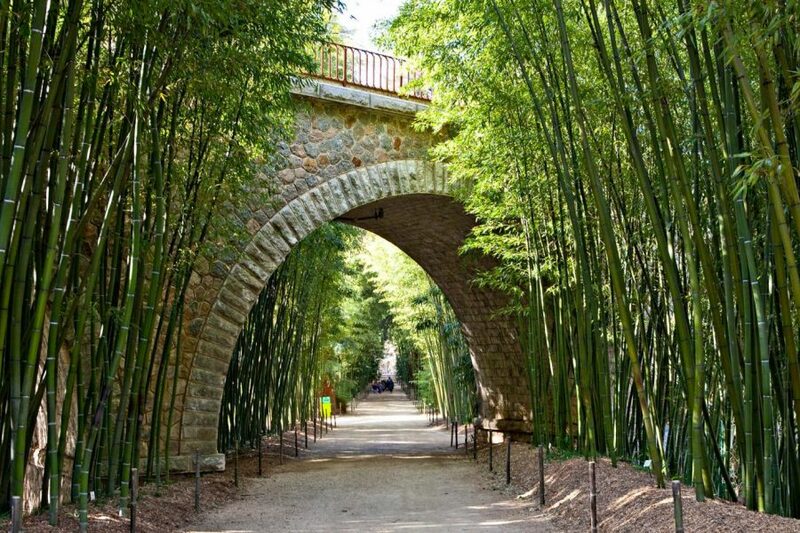 A beautiful park in the Cévennes where more than 100 different types of bamboo are shown, from small to huge. The domain is 34 hectares, the park itself 15 hectares. This park is home to more than 150 varieties of bamboo and a variety of exotic plants and remarkable trees. As a visitor you will travel through the forest of giant bamboo, the Japanese garden, the Laotian village and the beautiful valley of the Dragon. Our advise: La Bambouseraie can be combined with the steam train through the Cévennes, the train makes a stop for the entrance of this park. Saint-Guilhem-le-Désert is an elongated village built in a gorge of the little river Les Verdus. 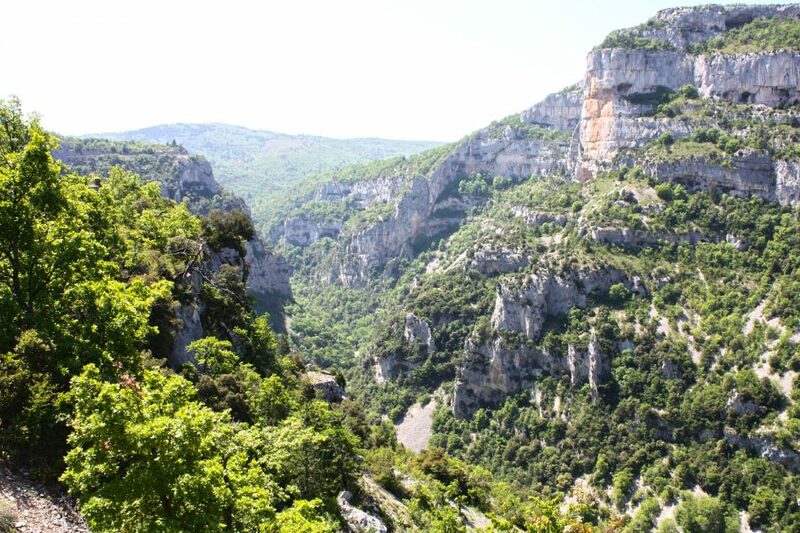 The road to the village runs along the Gorge de Hérault and that is a nice route to the village. The village stretches through a gorge. The streets are narrow with many shops. This fortified town has managed to preserve all its immense charm. 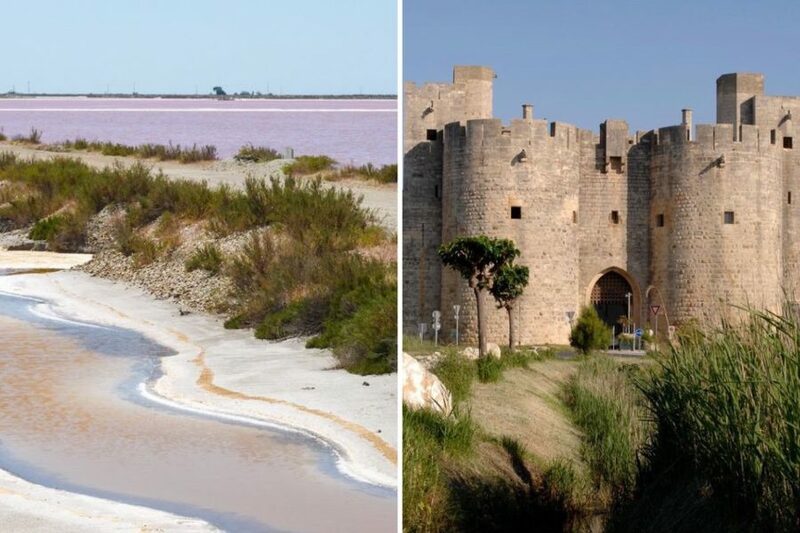 This medieval city of the dead waters (Aigues-Mortes) is a great starting point to discover the Camargue. Also located here is the oldest salt pan of the Mediterranean. Our advise: book a trip through the Camargue along the salt pan, flamingos and wild horses. Vézénobres is one of those villages where you immediately feel attracted. 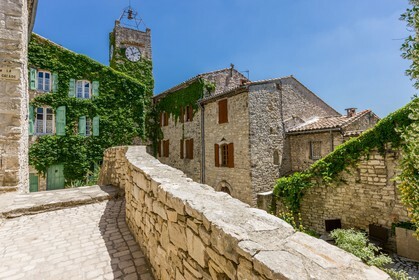 This village has a rich architecture from the 12 / 14th century that is largely intact. From the first steps you take, you only want one thing: walking up the streets to climb higher and higher. Our advise: visit the viewpoint above the village with the beautiful glazed orienting table on which you see a view of the surroundings and places. Also a wonderful place for a picnic.